Australian Defence industry is known for those 20-year, overnight success stories. NIOA is one such case. From humble beginnings, the Queensland headquartered business now has a healthy stable of Defence programs under its belt with its sights set on further expansion. ADM Managing Editor caught up with MD Robert Nioa to explore the company’s rise. ADM: NIOA has been working across both the civil (both sporting/commercial and law enforcement) and military markets for some time now. Can you give us an overview of how these markets make up your business? Nioa: The last couple of years, we’ve been about 50 per cent commercial and 50 per cent government. We divide the government into police and military and the commercial is the licensed firearms market in Australia and a little bit in NZ. With our future contracts that we’ve now won with Defence, the business mix is shifting to two-thirds Defence and one-third commercial. There’s significant growth in the company occurring around the Defence portfolio and we think that’s going to continue to grow as well. The commercial business as a percentage of our overall business will reduce but the actual sales won’t be reducing, it’s just that the business is growing overall with more of a Defence portfolio. ADM: Since we last spoke in 2013, what has been the growth path for the company since then? Nioa: Since 2013 I’d say that we’ve definitely established ourselves as a trusted prime contractor to Defence. Even though we’re an Australian owned SME, when people talk about primes they generally associate that with a foreign owned multinational. I think we’ve made that transition. In that Defence relationship, they very much see us as a trusted prime now. That’s a very different place to be in this year compared to 2013 where we were really just establishing our credentials in that prime contractor role. We’ve delivered programs successfully, we’ve won several major contracts. The Land 40 contract we delivered successfully as a prime contractor in the weapons space. In the ammunition space we’ve won the Major Munitions Contract, the Land 17 Future Artillery Ammunition contract, the 81mm mortar contract and we’ve demonstrated an ability to establish Australian manufacturing capability. We’re also supplying the NZ Defence Forces with their 9mm side arm (Glock) and their sniper rifles (Barrett). Defence, I think, has got a high degree of comfort in all of those programs and how we’ve delivered. 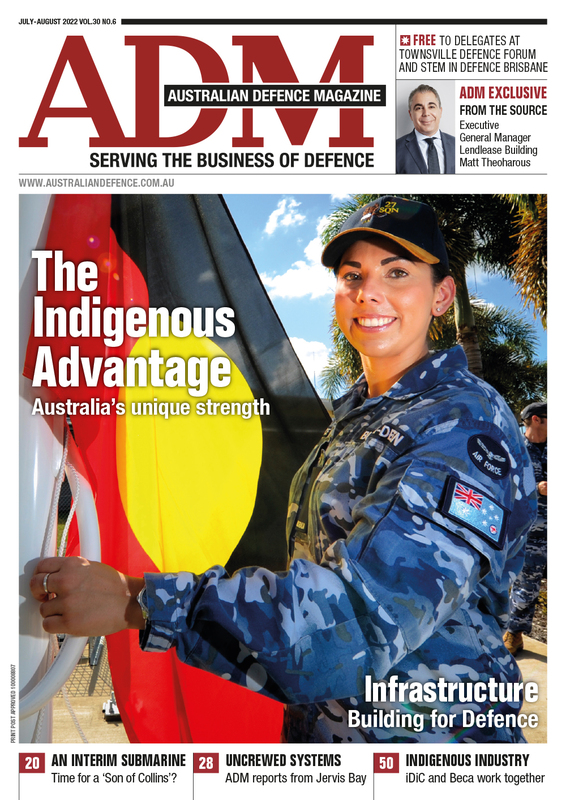 ADM: The last 12 months has seen a lot happening in the Defence space for you at both Mulwala and Benalla. Can you walk us through those interests? Nioa: Even though it’s become apparent in the last 12 months that we’ve been offered and taken up a tenancy at Benalla, we’ve been working for 10 years on getting access to the Benalla ammunition site. That effort started in the lead up to the DMMA program (Domestic Munitions Manufacturing Arrangements tender) which ultimately then was cancelled. In the years after, we kept engaging with Defence as they started to reassess what they do after the end of the interim arrangements they put in place there. We’ve been working for 10 years to bring new capability to the GOCO (government owned contractor operated) site. What has occurred is we have been offered an interim tenancy between now and 30 June 2020 and we have taken up that tenancy. We are now on site and we have our own developed safety systems that are approved for the site. We have staff working at Benalla right now. Just announced, we have been invited to discuss a long term tenancy which we expect would be a 10 year plus tenancy at the Benalla site. ADM: What is the relationship like with Thales given their long running incumbency Benalla, both as ADI and now Thales/Australian Ammunitions? Nioa: There was initial competitive tension but the job that we were given by government was to look at the vacant buildings or seldom used buildings. The work we’re doing on site shouldn’t pose a direct commercial risk to Thales and, if anything, we are going to need to work with them going forward. It is likely that we will actually allocate some work to them and value add opportunities for them along the way. It’s taken a bit of adjustment for everyone but in reality I don’t think that there’s any great ongoing commercial pressure. ADM: You mentioned DMMA before and when that process fell over, the Major Munitions Contract (MMC) arrangements came into play; do you think they’re delivering value for money to the Commonwealth? Nioa: Yes. Prior to MMC the Commonwealth was running a series of ad hoc purchases of product; some FMS, some direct commercial, and there was a lot of contract churn. For the government to government purchases, there was an unknown timeline for delivery of product; it wasn’t necessarily new product, it wasn’t packaged in accordance with Australian Standards, there was a lot of rectification work happening in Australia, product being denied while it was being held up and it wasn’t getting to soldiers. It also didn’t come with the warranties, latent defect coverage and so on. The new arrangements provide all those things and along with value for money and a more transparent timeline for everyone involved. So I think that it’s been a big success. Government has guaranteed delivery times for new product, packaged correctly and also reach-back for full engineering certification and lots of warranty and IP protection which they didn’t necessarily have under the old ad hoc purchasing framework. ADM: Rheinmetall Waffe Munition GmbH (RWM) and NIOA are to develop a forging facility in Maryborough. What will that facility bring to the table for Defence? Nioa: I’m very excited by this project as it’s the first activity of the joint venture. Rheinmetall NIOA Munitions is the new company. That company is going to be establishing an artillery shell forging plant in Maryborough, Qld. It will make 155mm artillery shells across a range of different designs but all within the Rheinmetall stable. That would be some of the German DM series artillery shells, as well as the Assegai family out of Rheinmetall Denel in South Africa. The majority of sales from that factory will be export-focused. This will be a second location for Rheinmetall and we’ll be exporting product to the world market from there. ADM: Do you have all the export clearances you need? Nioa: Yes. As we get closer to full rate production, we will start to make announcements about the specific projects and customers but the markets that are identified are all market supported by the Australian government. ADM: You have partnerships in place with dozens of international suppliers for various products but what does NIOA add to the mix for Defence programs? Nioa: We’re an Australian company and that has a certain value unto itself. When it comes to munitions and weapons systems that are highly technical, the Australian regulatory framework is different to everywhere else in the world. We certainly can provide that engineering support and so on, but I think that the Australian government likes to deal with an Australian company. International companies are looking to leverage the infrastructure that we have. We’ve got testing facilities, logistics facilities, engineering capability, access to existing contracts, access to domestic supply chain and so on. We provide all of that to our international partners. Our customer is getting the international technology that we’re bringing in. So the customer is getting something out of it, and the international suppliers are getting a lot of value out of it. ADM: You mentioned that regulatory framework, which is quite tight in Australia when it comes to gun control and ammunition. Do you see that changing in the near future given the push to export Defence industry? Nioa: There appears to be an appetite in Defence for more industry involvement in the regulatory process. As far as certification of weapons systems or certification of munitions, there is a huge body of work coming with all of the projects that Australia has on the table over the next decade. I think that there’s a shift in Defence’s appetite to engage industry to do a lot of that certification work. Ultimately Defence will want to retain approval rights at various parts of the regulatory process but I think there’s a shift very much in the appetite for Defence to outsource some of the certification work. ADM: Do you think that’s driven in part by the campaign to become a top 10 Defence exporter? Nioa: I’m not sure that the export strategy is driving the change in appetite for outsourcing the certification. I think it’s being driven more by the constraint on the capacity that Defence has to do the body of work that is coming up and they’re just taking a practical, pragmatic approach to how they are going to achieve their capability outcomes. There’s recognition that industry is well equipped and has qualified people that can provide the services they need. I think that Defence is still considering or trying to understand what the Defence export strategy is going to look like and how they respond to it as an organisation themselves. They are certainly open to supporting it but I think that they’re still reviewing and revising how they go about supporting it. 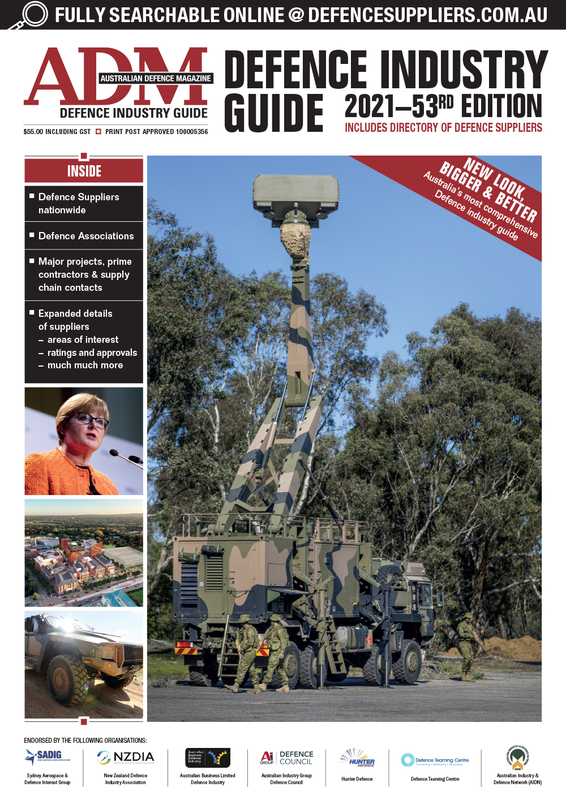 ADM: What role do you see SMEs play in the wider Australian Defence industry environment? Nioa: I guess it varies widely from SME to SME as to their level of success. Certainly this government’s and Defence’s current procurement strategies are favouring domestic manufacture and domestic supply, so that is good for SMEs in general. I don’t think there’s a magic wand for SMEs as far as any policy setting that can say an SME is going to benefit more or less than a prime or for a multinational. I think Australian industry will benefit from Defence’s current policy settings and if you’re an SME, if you do a good job, you should benefit alongside any other company that might benefit. But I think it is still difficult, and probably always will be difficult for SMEs that are small to grow into a prime contractor or get significant shares of business from foreign prime contractors. I don’t see that solving itself quickly. There appears to be an appetite in Defence for more industry involvement in the regulatory process. ADM: What would solve it? Nioa: I don’t have a magic answer for it! The way we have done it is to invest heavily in our business over a long period of time. It’s not particularly remarkable but it’s the only strategy we could find where we felt we were in control of the outcome and that if we kept focused and we kept investing, we kept demonstrating a commitment and we focused on opportunities that were realistic and within our area of expertise that we could develop. We have slowly but surely succeeded in that. We could equally have failed in that. So I’m not sure it was a magic formula or lesson for anyone else. ADM: It’s the 20-year overnight success story then? Nioa: We were established in 1973 and started doing business with Defence in 1996. We didn’t get our first prime contract until about 2015. So it took us 19 years working with Defence to get the first prime contract. This article first appeared in the March 2019 edition of ADM.